Osher at his rawest and finest. No ad breaks. No plugs. Just him. Giving insight into the raise, fall and raise of his career and life. 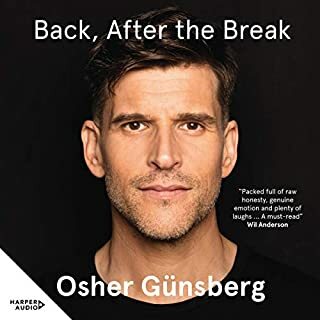 Osher has given his podcast audience of his successes and struggles, the good and the bad, now the world gets to hear his story. No detail or subject is left out. Osher gives his voice to those who struggle to tell their story and emotions while suffering from mental illness. This is the man and the book that changed my life. My family understands me more. If you have a mental illness, have a loved one with a mental illness or love Osher, this is the book for you.